This 9 cell pack is built with our 5000mah cells. This new pack is designed to fit perfectly in the stock Traxxas Stampede VXL, Bandit VXL, and Rustler VXL. 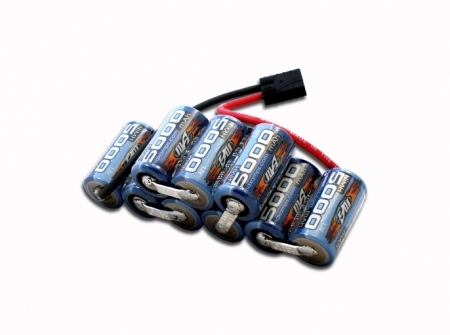 This pack will give you higher voltage than any other off the shelf NiMH on the market. More voltage equals more power and higher top speed for those high speed VXL enthusiasts. i love this battery its more than twice as fast as my 8.4v venom battery. its well worth the money. check me out on youtube with this battery! it hauls! account name is rustlervxl09.